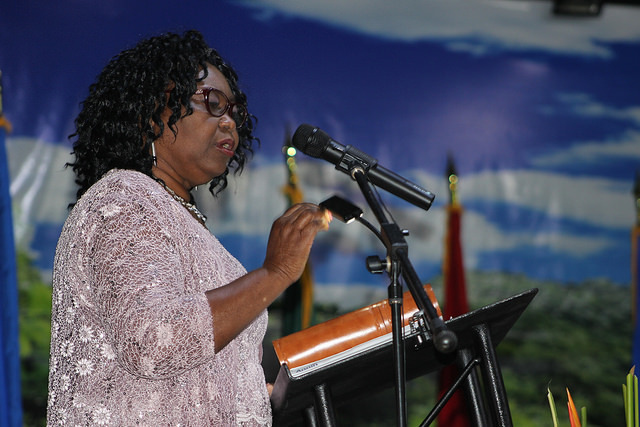 Alexandra Otway-Noel, MP for South St George gave a warm welcome to the visiting leaders, and their delegates from across the region gathered at the Trade Centre for the opening ceremony of the 38th Regular Meeting of the Conference of Heads of Government of the Caribbean Community (CARICOM), on Tuesday, 5 July 2017. Otway-Noel encouraged them to enjoy Grenada while making decisions to create a better Caribbean, as they look forward to 2030 and beyond. Ambassador Irwin LaRocque, Secretary-General of CARICOM, thanked outgoing Chairman of the Conference, His Excellency Brigadier David A Granger, President of the Cooperative Republic of Guyana and welcomed incoming Chairman, Grenada’s Prime Minister, Dr Keith Mitchell. According to Ambassador LaRocque, the next 2 days will cover discussions about “issues that have the potential to contribute significantly to economic growth, competitiveness and sustainable development.” He spoke to improving the ability and ease of free movements of goods and people between the islands. Newest members of the conference, Hon Dr Hubert Minnis, Prime Minister of the Bahamas and His Excellency Jovenel Moise, President of the Republic of Haiti, also addressed the audience. Both addresses reiterated the importance for the Caribbean nations to work collectively to achieve their individual goals. 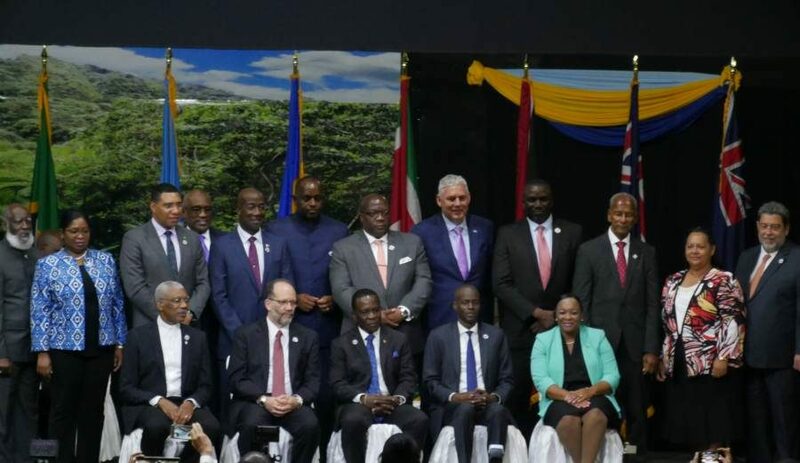 Mitchell added that ‘transportation is the lifeblood of our integration process,’ as he spoke of some countries not being able to export internationally, and people in the Caribbean being able to ‘connect more easily’ outside of the region than destinations within member states. Reduction of travel costs was also on the list of items mentioned. Happy Hill RC School, Dr Mitchell’s alma mater and the Violin Ensemble from the National Schools’ Orchestra, provided cultural interludes.